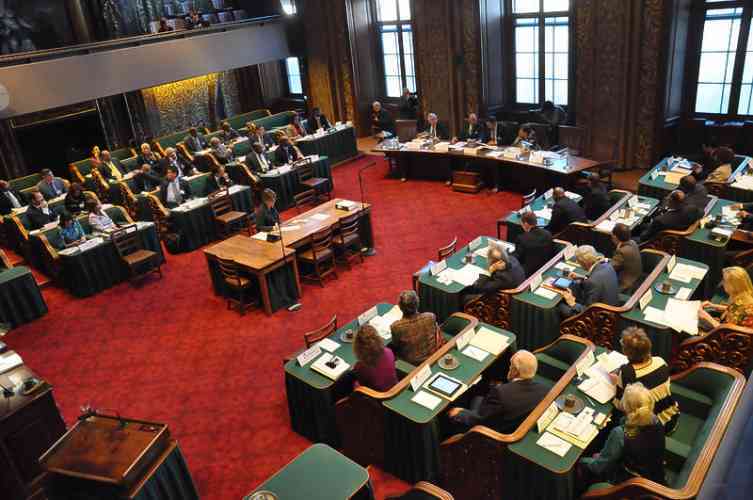 THE HAGUE–Thierry Baudet’s right-wing nationalist Forum voor Democratie has emerged as the big winner in the provincial elections, and will take 13 seats in the 75-seat senate in May. The four coalition parties have lost their majority and will control 31 of the senate seats, forcing them to turn to opposition parties for support to get controversial legislation through. Prime minister Mark Rutte, in Brussels to discuss Brexit, told reporters he would work to come to a “sensible majority” in the upper house. Rutte said he would not try to come up with a pact, nor would he rule out any party, whether more left- or right-wing than the coalition. Forum campaigned in the provinces on national issues and now faces the problem of making sure it fills the seats it has won on the 12 provincial councils. “Six seats are not nothing,” he said, adding that the ‘unique PVV voice’ will continue to be heard in the senate. Turnout was up sharply on the last provincial vote, with some 56 per cent of people casting their vote. It was the highest (60 per cent) in Zeeland and Utrecht.